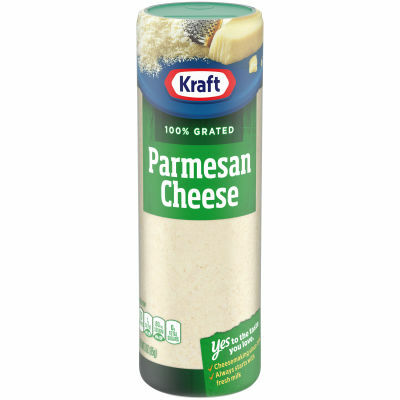 Kraft 100% Grated Parmesan Cheese - Enhance your pastas, pizzas, seafood, salads and more with the bold taste of Kraft grated cheese. At 20 calories per serving, this cheese is sure to add a flavor kick to your favorite meals at any occasion. Serving size 2 tsp (5g).